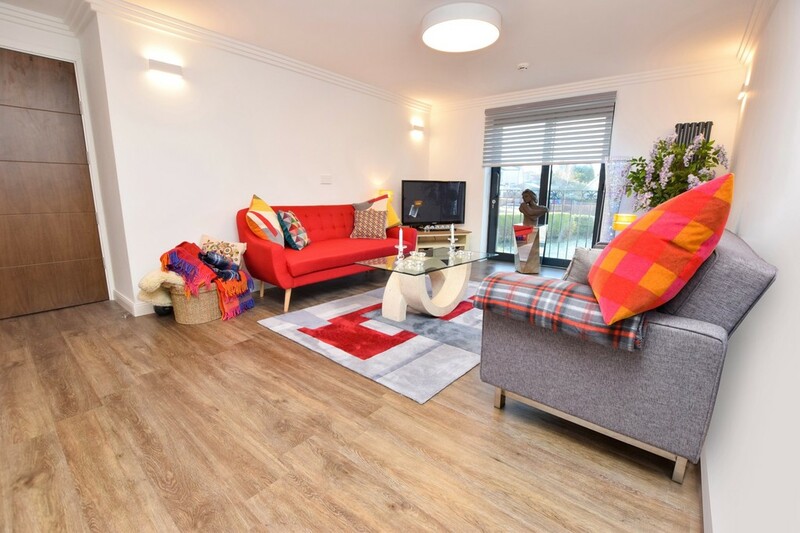 Next Home are delighted to bring to the market this stunning and modern 1 BEDROOM APARTMENT situated in a highly desirable area, one mile from the city centre of Perth. 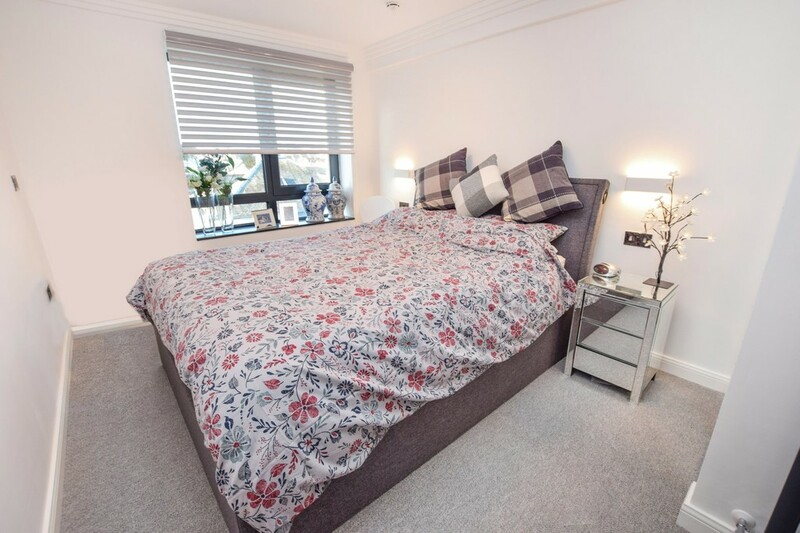 The property comprises of: entrance hall, gorgeous open plan lounge/kitchen area, a generous sized double bedroom and a beautifully finished bathroom. Warmth is provided by gas central heating with designer radiators. Triple glazing throughout. 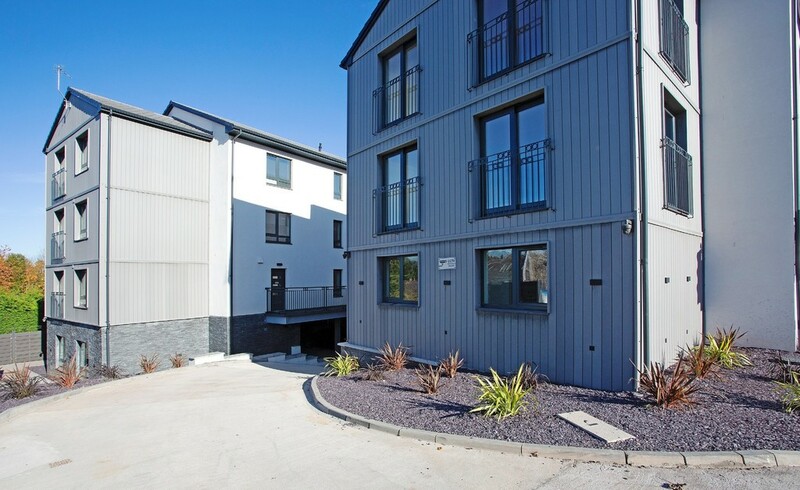 Externally the property benefits from access to a communal clothes drying area in addition to an attractive communal outdoor space. Allocated parking is provided via an undercroft parking facility. EPC RATING B. 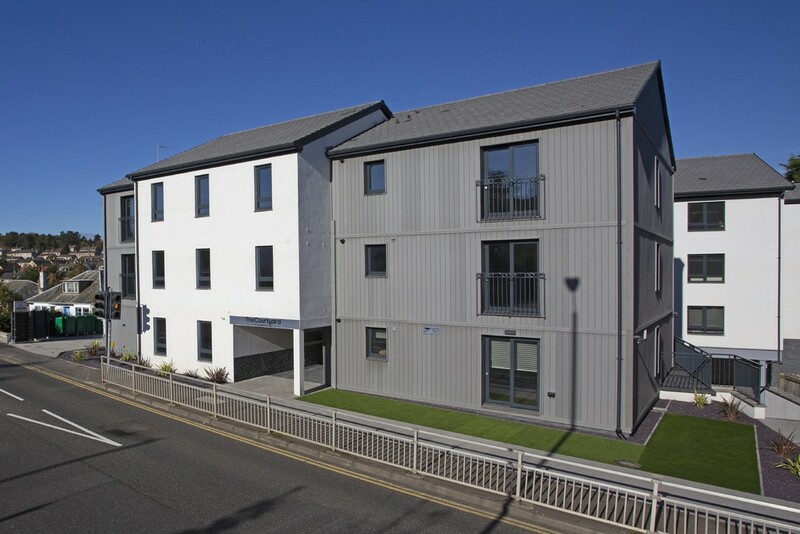 Early viewing is highly recommended to appreciate the unrivalled quality of accommodation on offer. 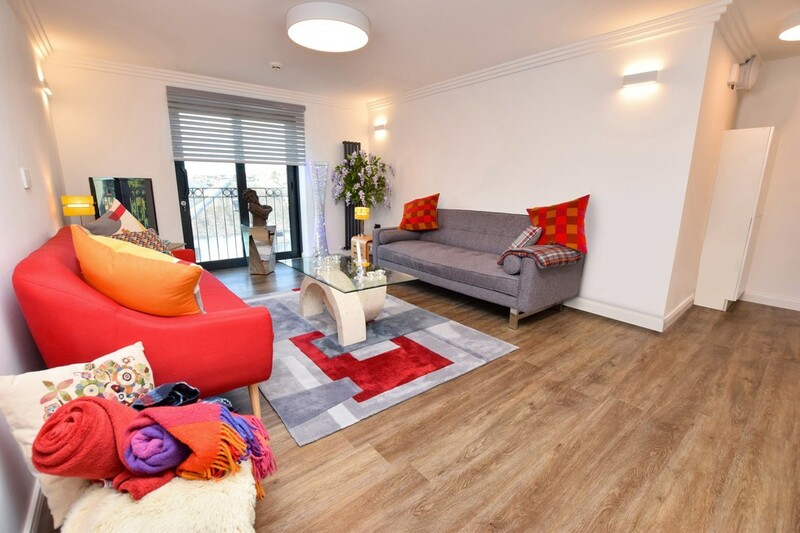 SPECIFICATION The property benefits from having high quality laminate floors so, minimal maintenance required. Inset LED lighting throughout. USB power points are included in various places throughout the apartment. All rooms have television points. The living room is equipped with media wiring; recessed TV point and HDMI wiring. High speed broadband capabilities. Freeview TV ready in all rooms; access to 100 free channels. 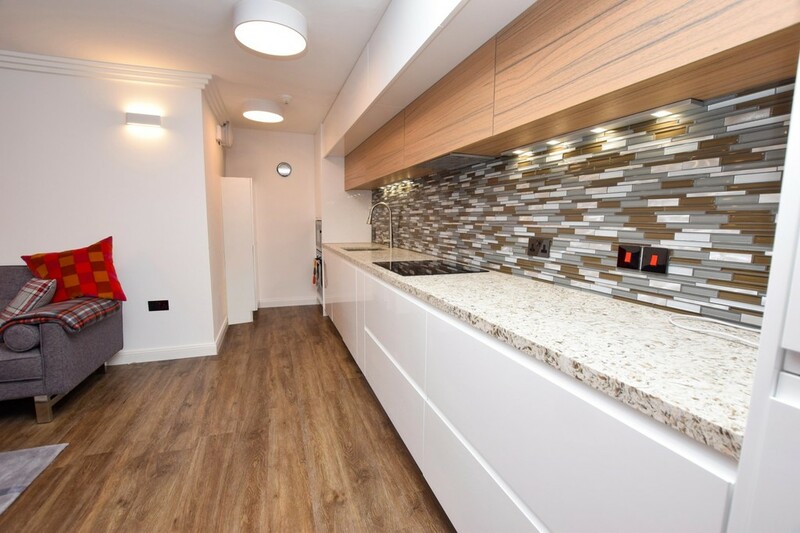 The stunning, German manufactured kitchen is fitted with high specification soft closing wall and base units and breathtaking stone work surfaces. NEFF integrated appliances include: induction hob, oven and microwave. Other integrated appliances include dishwasher, fridge/freezer, washing machine and gas combi boiler. 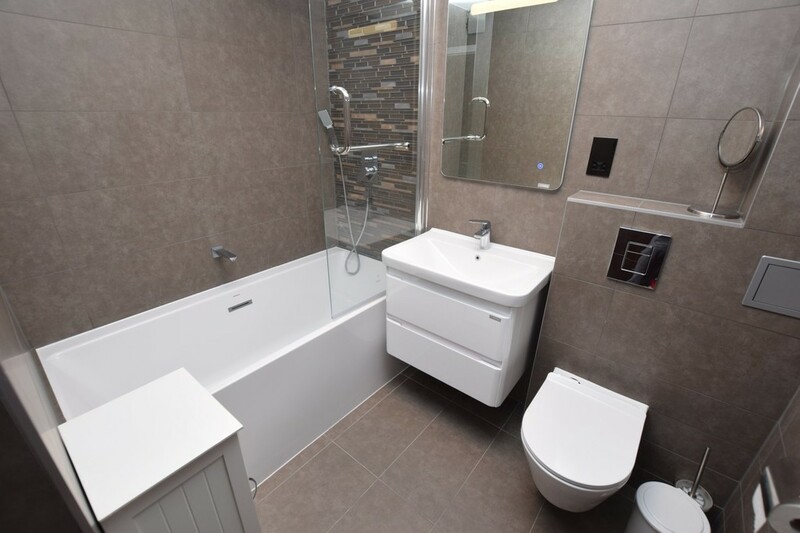 The beautiful fully tiled bathroom is complimented by GROHE accessories, under floor heating and a heated towel rail. 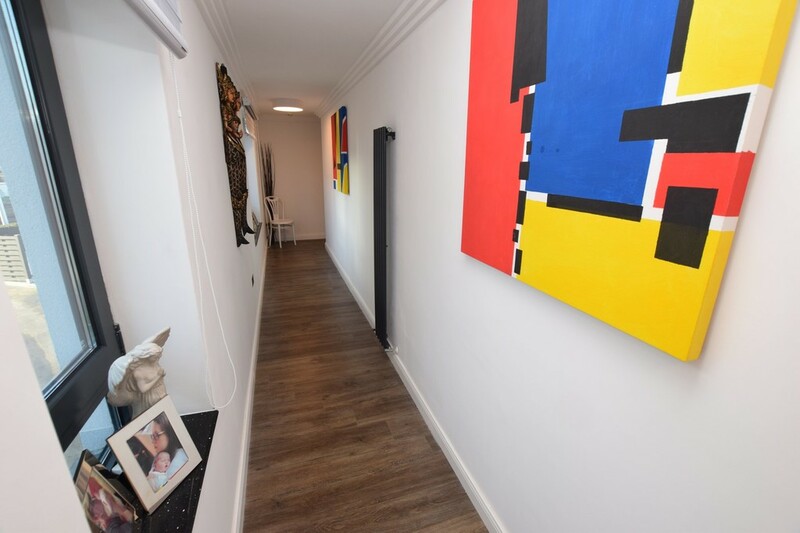 ENTRANCE HALL 29' 0" x 3'7" (8.84m x 1.12m) A bright and welcoming entrance hall that gives access to all accommodation on offer. 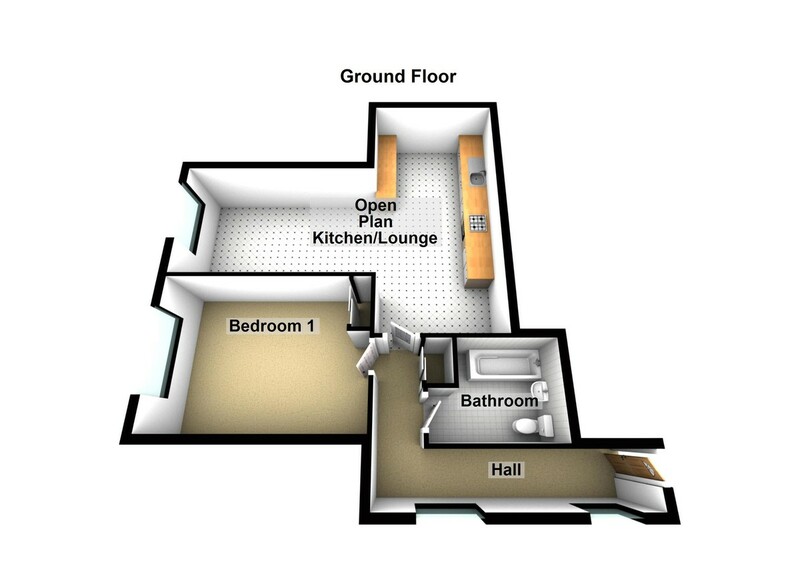 OPEN PLAN LOUNGE/KITCHEN 18' 5" x 17' 11" (5.61m x 5.46m) A stunning open plan lounge & kitchen that is bright and spacious with sliding doors providing access to a Juliette balcony making the room an ideal haven for relaxing. BEDROOM 12' 5" x 9' 1" (3.78m x 2.77m) A spacious double bedroom with fitted wardrobe finished with mirrored sliding doors and hanging rail. Carpet. BATHROOM 7' 7" x 6' 9" (2.31m x 2.06m) Fitted with a modern three piece suite comprising W.C. with concealed cistern, wash hand basin enclosed within vanity unit with storage drawers under and LED lit vanity mirror over together with bath with power shower and glazed screen.